One of the biggest surprises about myself as a mom is how "crunchy/granola" I have ended up being. Natural child birth? Really? Cosleeping? Uh-uh? But the icing on the cake is really cloth diapering… that was just going to be too much. But being that our blog is entitled "Our Life on a Budget," once I realized how cost effective cloth diapering was… I knew I had to do it… whether I liked it or not. What I didn't realize was how much I was going to like it. How not that difficult… dare I say easy it was. How I was going to prefer cloth diapers to disposables. I attribute a huge part of my success to meeting with a cloth diaper consultant with a company called elemeno-pee. I met with this consultant when I was 8 months pregnant at a coffee shop. See, after doing a ton of research I knew a lot, but I did not have much cloth diaper wisdom and I had no experience. She set me up with what I needed. But then the best part was, I was able to call her when I actually started using them! Text her when I had a question! Email her when I was not sure how to wash them! 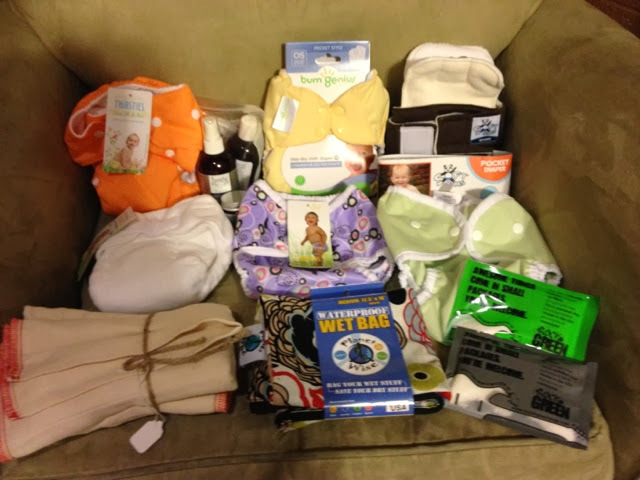 The personal touch was what got my cloth diapering to such an awesome start! My original stash my element-pee consultant helped me choose! So now-a-days, I get a cloth diapering email, text, message or call at least once a week. I love talking fluff with people. So, I start thinking- what if I just became a consultant? What if I still talked cloth diapers and then if my friends wanted to buy... I could set them up? Andrew and I talked and prayed about it for a few months and then over Christmas we took the leap. I said I would never do sales, but I feel like this is different, this is educating people about cloth diapering, sharing my experience and getting them set up if they want! All that said, check out my new little business! Tell your friends that are having babies where to get their cloth diapering and natural parenting supplies. Meet with me, call me, text me, message me if you want to know about cloth diapers! I want to to talk… even if you are not really interested in buying! I want to help you get set up on your cloth diapering adventure! I know.. It was a life saver for me! I was looking into becoming a consultant. Are you still enjoying it?